Welcome to the new Idaho Library Association site! In order to provide a better experience for our members, ILA is transitioning to a new site platform that will more efficiently manage membership and event registrations. We are also looking forward to some new tools, such as discussion forums for divisions. 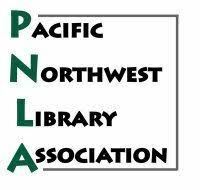 Finally, it is our hope to have a cleaner, more intuitive organization for our site that will make it much simpler for libraries and library workers across the state to connect to one another. Call for submissions: ILA Annual Conference is still taking submissions for conference or poster sessions. Please visit the online submission form to apply.